Sweetspot wants golfers to have the opportunity to book and play more frequently. Through a modern booking service, players can find the right course, at the right price at the right time. DING has been involved with Sweetspot from the beginning and helped build the technology and develop the product and design strategy for the company. 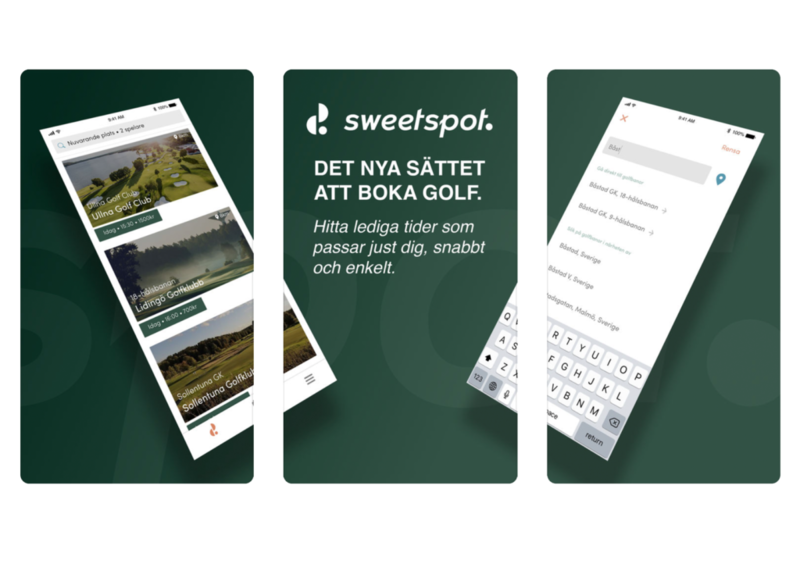 Sweetspot wants to make golf booking easy and accessible for everyone by becoming a partner to all golf clubs. In this way Sweetspot, together with the club, can optimize and streamline administration while profitability increases. DING has, among other things, developed Sweetspot's system for dynamic pricing and mobile application booking.